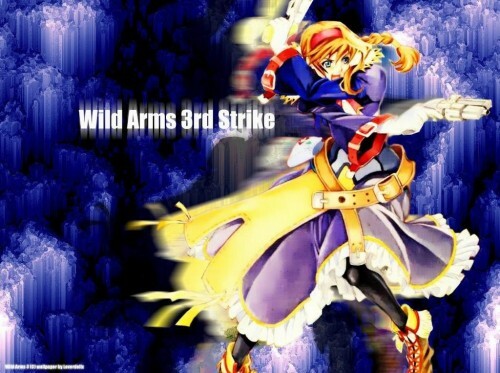 I love wild arms series, cause the intro animation gets even better and better and wild arms 3 was a blast cause the heroine is a girl, Virginia Maxwell. I made a mountain cg with artistic filter to blend with the art style of the scan and finally add some movement effect. Nice wall of Wild Arms 3 am also a fan fo the Wild Arms series but I haven't finished Wild Arms 3 yet but trying to. Though I like the effect you made on her as if she is moving really quickly. Nice job keep it up, Fav. awesome! wildarms! LIKE MY NAME.